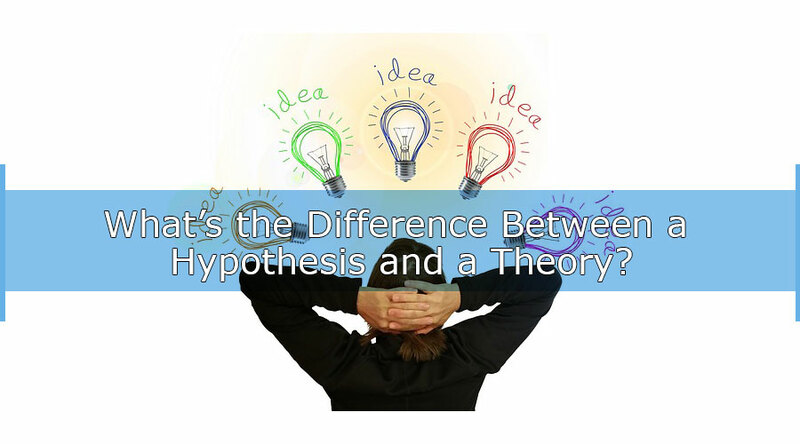 What’s the Difference Between a Hypothesis and a Theory? 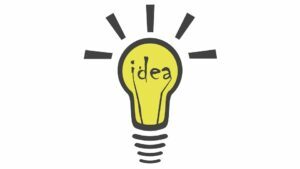 Home Science What’s the Difference Between a Hypothesis and a Theory? Image: CC0 Public Domain, via maxpixel. If you want to understand modern science, you need to understand the difference between hypothesis and theory. If you do not understand how hypotheses and theories work, then you really cannot fully appreciate how Western science and thinking works. Image: CC0 Creative Commons, Jadvani_Sharad, via Pixabay. The hypothesis comes first. This is the idea that someone has about how the world really works. For example, let’s say you think that the sun might be hot because it’s made of melted cheese. That is a hypothesis. As you can see, a hypothesis is just an idea, and it doesn’t need to be a good one. As you can also see, a lot of what we call “theories” in modern, everyday language are not theories at all, but hypotheses. If you are hanging out with your friends at the bar, and you say: “I have a theory that the single guy over there at the bar always comes here and leaves without picking up any women, because he’s terrible at talking to women” that is really a hypothesis. 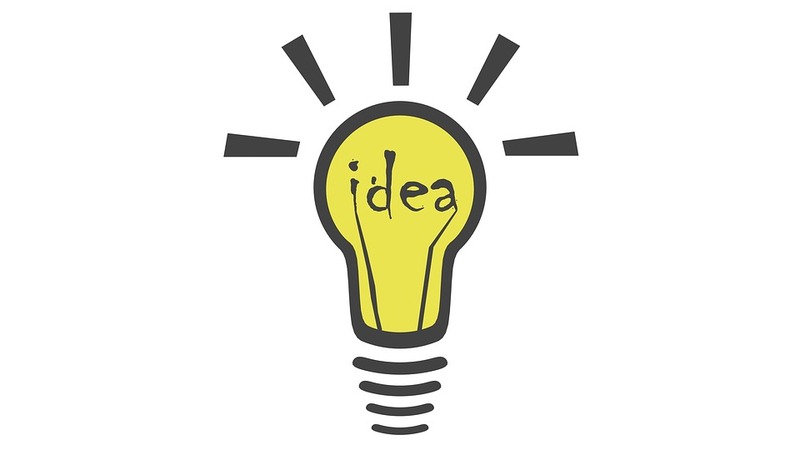 You don’t have any basis for your idea (other than your perception). Image: CC BY-SA 4.0, GliderMaven, via Wikimedia Commons. A hypothesis becomes a theory after it has been rigorously tested and reviewed for its veracity (truth). In the case of the guy at the bar, we could test the hypothesis by having women go over and talk to him, and see how they might rate his conversational skills. We might also observe him over a series of nights to see whether or not he is successful at meeting women. However, it is still a theory, not 100% fact. It is possible that one woman might still want to date this man, perhaps because she finds his lack of social skills to be endearing or charming. Well-known scientific theories are the Theory of Evolution hypothesized by Charles Darwin and the Theory of Relativity first hypothesized by Albert Einstein. Most average people today do not understand that modern science is constantly evolving. Scientists will change their opinions on things as new information comes out. This is why the term “settled science” is in fact, an oxymoron. While it is tempting to use this phrase in political discussions to support popular theories that have the weight of a good portion of the scientific community, it actually hurts science overall. Good, objective science is never fully settled. Generally speaking, a theory in science is probably true. While it might be difficult to put a percentage on it, let us just say for argument’s sake that a theory needs to make the hypothesis at least 80-90% plausible before it graduates to a theory. Theories can still be changed or deemed unproven with new information. Darwin’s Theory of Evolution, for example, has a lot of evidence, such as fossils, to support it. The Theory of Evolution explains pretty well how natural selection favors certain “mutations” over others to create different types of life. We can see a lot of evidence for this. For example, our selective breeding used in dog breeds, for example, is all about favoring certain traits over others. Dogs “evolved” into different breeds, not using natural selection, but human selection. Darwin’s theory also leaves a lot unexplained. Why, for example, does any organism become more complex in the first place? How did human conscious arise out of evolution? A competing hypothesis, “Intelligent Design,” posits that some sort of outside force, or creator, guided evolution to create more complex lifeforms. However, without any sufficient evidence to prove this, Intelligent Design is simply a hypothesis, not a theory. Intelligent Design still does not explain how the creator itself came into being, or what or who the creator is. That would require a different hypothesis. Intelligent Design may seem far-fetched, however, some scientists are now hypothesizing that our reality is actually a hologram or a sort of computer simulation. If this could be proven, then this might change the Theory of Evolution and explain it as being driven by a computer program. So you never know how the worldview might change. When you understand hypotheses and theories, you realize that true science is really all about questioning the world with an open mind. What is the Famous Theory of Relativity About? Why Are Some People Left Handed? Color Psychology: How Much Do Colors Affect Our Daily Life? What’s the Difference Between Fruits and Vegetables? What’s the Difference Between Psychology and Sociology? Libertarian vs Republican – What’s the Difference Between the Two? Ontology vs Epistemology: What’s the Difference Between Them? Ontology vs Epistemology: What’s the Difference Between Them? What’s the Primary Difference Between Bluetooth 4.0 and 4.1?